This model was bought from an honest seller on eBay. 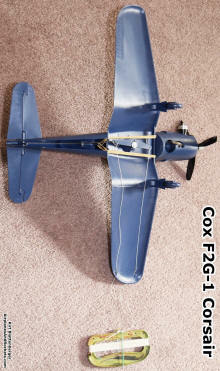 The Cox F2G-1 Corsair was one of the first control line models I owned as a kid back in Holly Hill Harbor, Maryland. 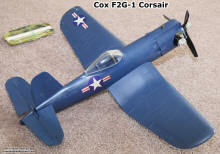 The full-size F2G used the basic F4U airframe and added a much more powerful engine that nearly doubled its climb rate. It has a break-away wing that is held on with rubber bands, but that was not enough to save it from my inexperience. 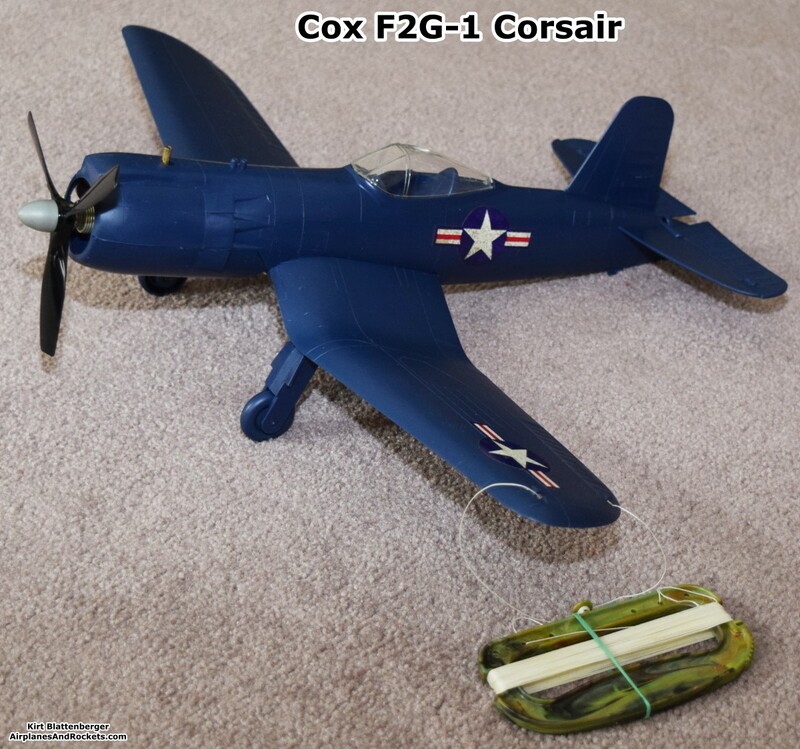 As I recall, my mistaken method for attempting to fly the airplane was to hold up elevator to keep it from hitting the ground, except I would keep holding up elevator until the model eventually did a wingover into terra firma. 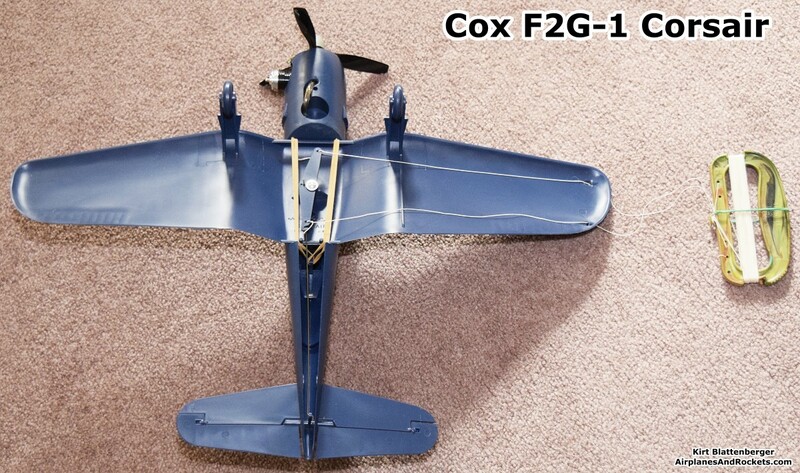 It was not until I bought a Cox PT-19 trainer and developed a slow-go, staged training method that I finally learned to properly fly a control line airplane. 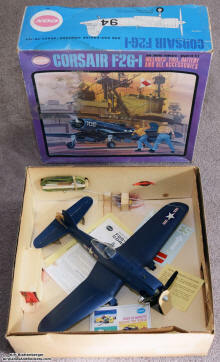 Sears, Montgomery Ward, Britts, Reads Drug, and other large department stores and drug stores used to stock Cox control line models - especially around Christmastime. 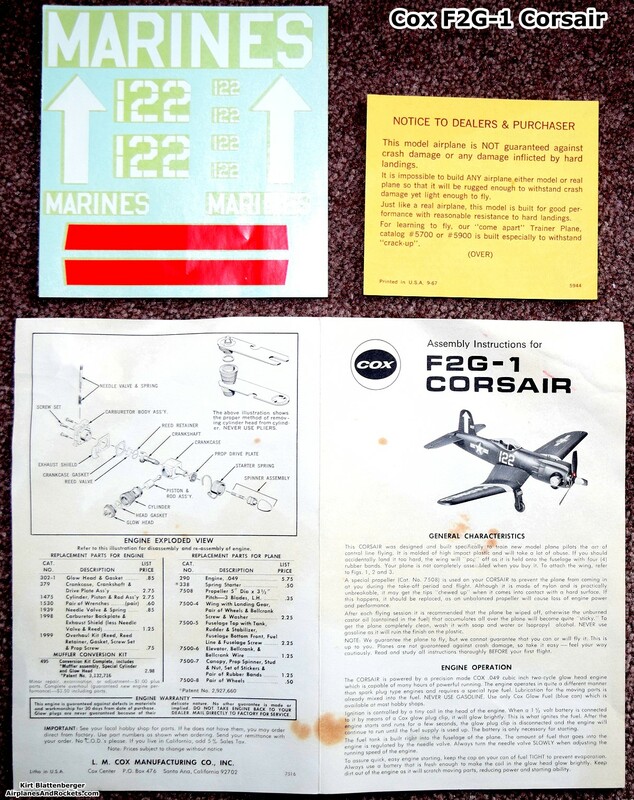 I anxiously awaited the arrival of the Sears Christmas Wish Book every year to see which models would be offered that season. 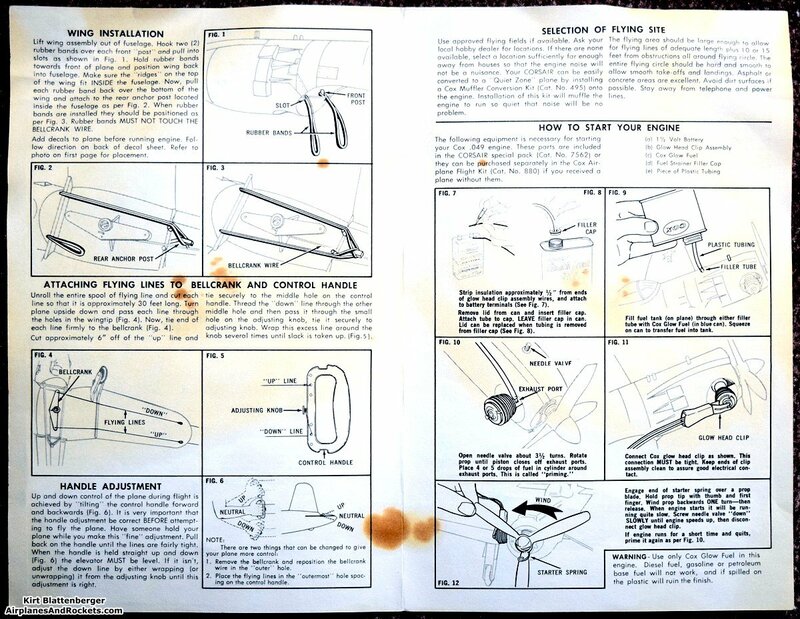 Here are some pages from a 1969 Wish Book. 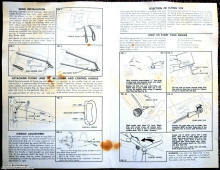 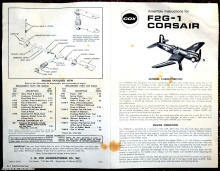 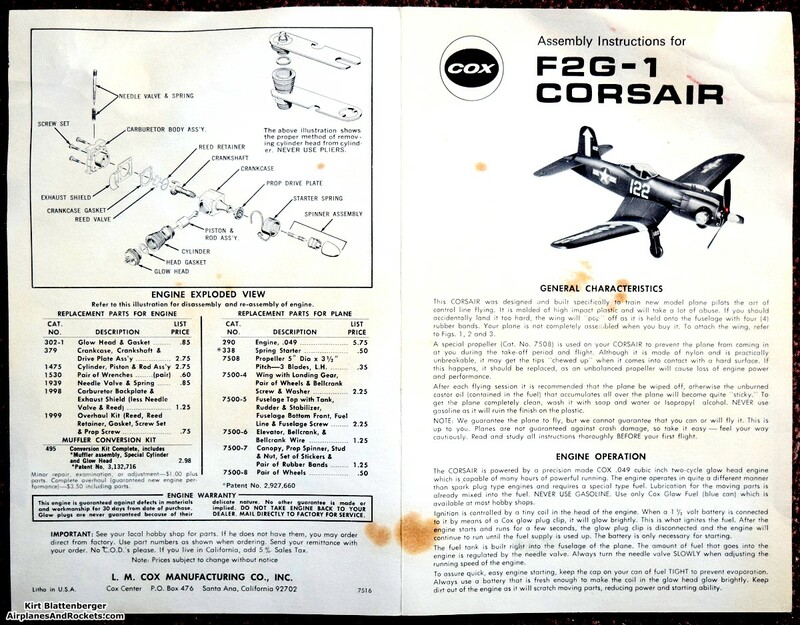 Below are pages from the Cox Assembly Instructions that came with the F2U-1 Corsair.